One of my favorite parts of living in Brooklyn is going to Old First, by some reckonings the oldest church in the borough. 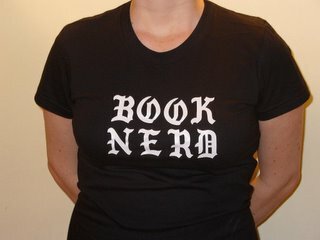 (Yep, I'm a Christian as well as a book nerd – talk about your obstacles to hipster credibility!) The building is magnificent, if in need of repair (Tiffany stained glass, an ancient pipe organ, and that great old wood smell). And it's an open-armed, community-minded sort of place, where tradition is taken as seriously as a commitment to a progressive engagement with contemporary realities. It's actually a lot like my idea of the perfect neighborhood bookstore, though with less profit-oriented goals. Anyway, at Old First we've been knocking around the idea of starting a book group for reading literature that has resonances for the Christian faith – Marilyn Robinson's GILEAD, for example, and A GOD STROLLING IN THE COOL OF THE EVENING by Mário de Carvalho and Gregory Rabassa. (I'm sure there are many, many more – any suggestions?). Sort of as a practice, several of us agreed to read and discuss Gary Wills' WHAT JESUS MEANT. It's more explicitly Christian than most of the fiction we've thought about, but it got a great review in the Sunday TBR a few weeks back, and we thought we'd give it a try. Wills' book states right off that its purposes are devotional, not historical – he's not trying to prove anything to non-Christians, just taking a new look at what the Jesus of the Bible is actually supposed to have said and done. But I think anyone who is interested in contemporary interpretations (and co-options) of Christianity might find much of interest here. Wills' primary contention is that Jesus was incredibly radical, but not political. He was extremely anti-authoritarian (and got a lot of grief from the Powers That Were) because he was interested in people loving and serving each other (and God) without the hierarchies and rules that kept them apart. He seems to have made a point of hanging out with those the ancient religious laws considered "unclean": prostitutes (and women in general), non-Jews, people who worked on the Sabbath, etc. Today, Wills argues convincingly, he'd probably be spending a lot of time with gays and lesbians. But his goals were internal change and reconciliation, not political reform, and those on the Right (or Left) who claim Christianity as their justification, Wills implies, have a lot of 'splaining to do. Wills' writing reminded me of the clarity and forcefulness of C.S. Lewis, whom I read a lot when I was younger. After reading this book, I'm curious about what he could possibly have said in his previous work, WHY I AM A CATHOLIC – he spends a lot of time talking about how organized religion, especially Catholicism, has institutionalized a lot of stuff that runs exactly counter to the actions and teachings of Jesus. While I didn't agree with every word, the book was eye-opening, intense, and extremely well-written. The Christian and the non-religious, the political and the apolitical, are likely to find something interesting and challenging in Wills' intelligent and engaging book. On the fantastic side of supernatural speculation is Kevin Brockmeier's mesmerizing novel THE BRIEF HISTORY OF THE DEAD. (I picked this up partly because of its incredible cover: an empty overcoat on a hanger is held open by two hands coming out of the sleeves.) The opening chapter (which was published as a short story) sets up the premise: there is a city of the newly dead, where those who are still remembered by those alive find themselves after their passage from the land of the living. While they don't age, these dead folks have bodies and ideologies, find jobs or find love, eat and drink and speculate about where they are and where they're going. At some point – presumably when the last person who remembered them is no longer alive – people disappear from the city. No one knows where they go after that. The story goes on from this premise, describing the effects on the city when a pandemic sweeps the earth. The citizens of Dead City [I made that name up, it's not in the book] can only speculate about what's happening from the reports of new arrivals, but it's clear things are changing. But half of the chapters follow Laura Byrd, a real live person who (like her Admiral namesake) is doing research at the North Pole, out of range of the disease's spread, and increasingly all alone. As it becomes clear how much in Dead City depends on Laura's life and memories, the novel's focus tightens and intensifies. I wasn't crazy about the ending of the novel – how can you really end a story about a sort of purgatory? But this was totally a subway-stop-missing, rich and exciting read. My favorite part is Brockmeier's gift of evoking whole lives by a remembered detail or two. A teenage boy can't forget the way his girlfriend nibbled his earlobe. A mother is remembered by how beautiful she looked when her face was completely expressionless. A newspaper editor speaks in goofy headlines. If you remember the beginning of the movie Amelie, where several characters are described by their quirky little loves (the sound of a cat dish on tile? ), you'll know what I'm talking about. Brockmeier is the kind of science fiction / fantasy writer who is less interested in the precise workings of his imaginary world (no one in his story is clear on its details) than in how it might affect the people who live in it, and what it reveals about the world we do live in. His Dead City is a place where mortality is more present than ever, where memory and longing have not disappeared with death. He has written a vivid and beautiful novel, one that I'll be recommending all summer, and remembering for a long time.